We hope you will try one of our super-budget rooms on our remodeled 3rd floor! This floor is actually an extension of the Asakusa Ryokan Toukaisou, but it is slightly different. You may reserve private rooms for 2-4 people, or you can stay in our mixed dormitory room, where you would stay with other travelers. 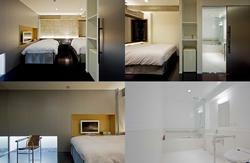 Rooms on the 3rd floor are Japanese style, with tatami floors. Rooms do not come with private bathrooms or showers, and guests are kindly asked to use shared common bathrooms (men and women are separate). If you would really like a room with a private bathroom, please check availability on our 1st and 2nd floors, Asakusa Ryokan Toukaisou. We are most excited about the completion of a living room in the center of the 3rd floor. Guests may relax in the spacious, sunshine-filled, tatami-floored room to watch TV, use free internet and talk to other travelers from all over the world. We hope guests will take advantage of this opportunity to interact and make new friends with all kinds of people. This floor includes a coin-operated laundry machine, a microwave, refrigerator, plates and silverware, TV, and computers with free internet access. Also, the whole building is set up for free Wi-Fi internet access. 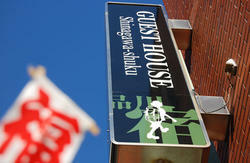 In the heart of Tokyo you will enjoy an inexpensive, cozy, and convenient stay at the Hostel Toukaisou. We are located in Asakusa, the heart of the old downtown (Shitamachi) of Tokyo, an area reminiscent of traditional Japan which is quite rare in modern-day Tokyo. Asakusa Toukaisou is located in Asakusa and is also very close to Ueno. Our location has quick and easy access to Tokyo Disneyland, Tokyo Tower, Roppongi, Tokyo Sky Tree, Akihabara, Ginza, Kabukiza, Shibuya, Tsujiki and more, mostly within a half hour by train and subway. 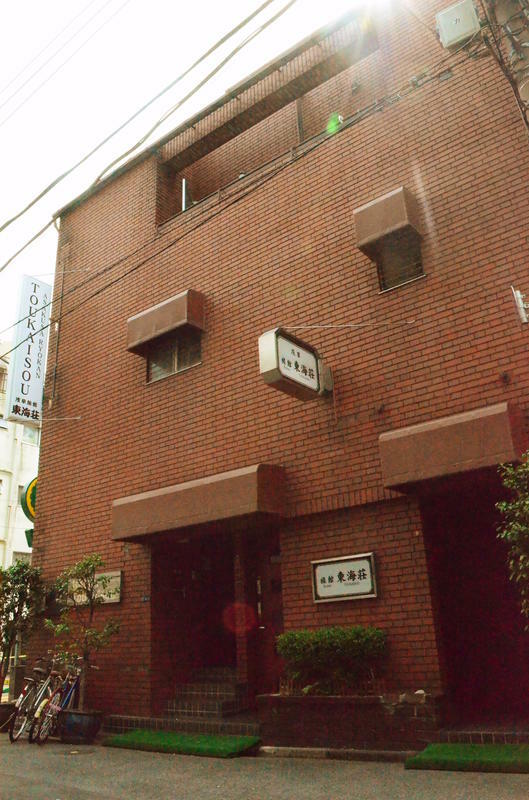 We are located a mere 5-minute walk from TAWARAMACHI Station (on the Tokyo Metro Ginza Line), and a 3-minute walk from ASAKUSA Station (on the Tsukuba Express). Check-in time is between 3pm and 10pm. Please, no children under 3-years old. cancel the DAY OF the reservation or the DAY BEFORE the reservation. We would like to welcome you whenever you have a chance to visit Tokyo whether for sightseeing, fun, or both! We'll be happy to help you experience authentic Japanese culture. We wish you a safe journey and are looking forward to seeing you soon!! Take the Keisei Skyliner* train to UENO station (the last stop) and transfer to the Tokyo Metro Ginza subway line (about a three-minute walk) and ride that to Tawaramachi station. The Keisei Express (instead of the Skyliner) also runs to UENO and is a little cheaper but a little slower. Take the monorail to Hamamatsucho station and transfer to the JR line and ride that to UENO station. Transfer to the Tokyo Metro Ginza subway line and go to Tawaramachi station. From TAWARAMACHI station on Tokyo Metro Ginza subway line- (about 5 min. ): Take Exit No. 3 out of the subway station and continue walking straight for five blocks. On the corner of the fifth block there is a 24-hour sushi shop named 'SUSHI-ICHIBAN' and another restaurant called 'Gyu-Kaku' above that (you will see 'Seray Kebab' on the opposite corner and 'Denny's' and the 'ROX' building across the street). Turn left at this corner (down the small street between the sushi restaurant and the kebab shop) and then make a right turn on the SECOND block (you will see a small shrine on the first block). You will find us on the left-hand side of the street with a blue & white signboard on the building and just next to a parking lot. From ASAKUSA station on Tokyo Metro Ginza subway line & Toei Asakusa line- (13-min. walk): Take Exit No. 4a out of the subway station and walk right to the main street (you will see a police box and the large lantern of Kaminarimon Gate across the street). Walk left down this main street until you come to a T intersection (you will see an Family Mart convenience store across the street in front of you). Cross to the Family Mart side of the street and walk right until you see a 24-hour sushi shop called 'SUSHI-ICHIBAN' and another restaurant called 'Gyu-Kaku' above that (you will see 'Seray Kebab' on the opposite corner and 'Denny's' and the 'ROX' building across the street). Turn left at this corner (down the small street between the sushi restaurant and the kebab shop) and then make a right turn on the SECOND block (you will see a small shrine on the first block). You will find us on the left-hand side of the street with a blue & white signboard on the building and just next to a parking lot.